Mold spores can cause health concerns. Mold comes in many types and is a natural fungus. It’s found around the world anywhere a food source and moisture are available allowing it to grow. Whether it’s office buildings, commercial buildings, or schools, there’s always the potential for mold. 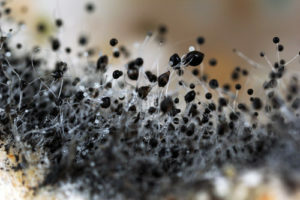 Exposure to mold spores has become an increasingly popular topic of concern for America as no one is immune from the possibility of having a situation that results in mold. When exposed to mold, a variety of symptoms present themselves running the gamut from allergic reactions and itchy eyes, nose, and throat to coughing, sneezing, and dry, scaly skin. Whether it’s a roof leak, burst pipes, leaking pipes, or any other calamity that results in moisture, the mold spores are sure to take advantage of it and grow. This fungus can be found wherever oxygen and moisture are available and on any type of organic substance. These include carpet, insulation, wood, food, and paper. Mold will eventually destroy whatever it is growing on over time. Keeping moisture under control can eliminate an existing mold problem and prevent future issues. Using the professional services for mold removal in New York City is a good first step in remedying the problem. Mold removal in New York City is best handled by a company that has years of experience in mold remediation. At Stern Mold, we have all that, and more. With our specialized treatment, we guarantee results. For a free inspection, contact our office by phone or use the convenience of the form on our website. Our goal is to make your property mold-free and keep it that way. Call today!